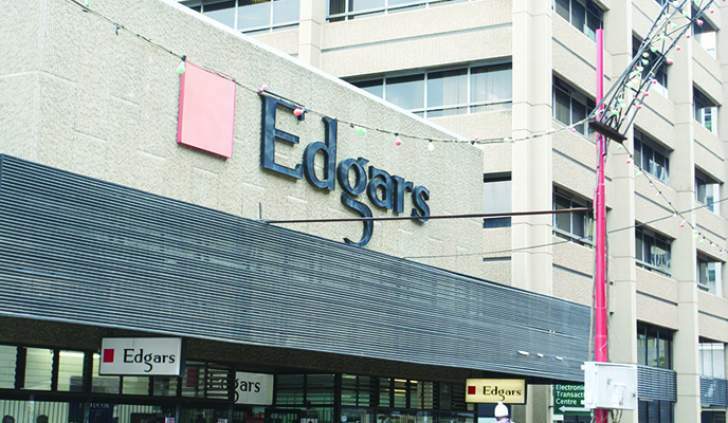 LISTED clothing retailer, Edgars Stores Limited has resumed exports after a decade as it seeks to improve its revenue base through foreign currency generation. Speaking during a tour of the clothing retailer's factory, Carousel Private Limited factory in Bulawayo on Friday by Industry, Commerce and Enterprise Development Deputy Minister Raj Modi, the firm's managing director, Mr Menfree Tanyanyiwa, said Edgars resumed exports to South Africa last month. "We have started exporting and we sent an order to Edgars South Africa, our parent company a few weeks ago and within two weeks of export about 160 garments have been sold. We are doing what we call toll manufacturing agreement where our customer in South Africa supplies the fabrics and sends through the trims (zippers, buttons, among other ornaments) then we produce and beneficiate it then send it back to the customer. So what we are generally doing is we are converting the labour, electricity costs and whatever else goes on into it, into forex, so the supplier then pays us for producing," said Mr Tanyanyiwa. Carousel is Edgars' manufacturing business unit, which produces a wide range of denim, ladies, children's and gents' casual wear that it supplies to the company's retail divisions as well as to other retailers. Edgars ceased exports at the height of the hyper-inflation in 2008. Before suspending the exports, the firm exported into the region as well as European markets to countries such as Germany. "We are just hoping that if we are able to grow this cake (exports) we will be able to grow the business and to raise foreign currency, which we will then use to order our own fabrics for the local consumption of the retail chains and generally the whole country. This will also sustain the country's economy with more foreign currency inflows," said Mr Tanyanyiwa. He said the company was, however, faced with a myriad of challenges, chief among them being the shortage of foreign currency and the influx of smuggled cheap second-hand clothes. "The challenge we may say we are facing is the forex issue, but at some point in May we met the (Reserve Bank of Zimbabwe) Governor (Dr John Mangudya) together with our general manager and they were very helpful. As for those who sell clothes on the street I think they should be regulated, pay duty among other statutory requirements to ensure there is evenness that comes with both markets being properly regulated to co-exist," said Mr Tanyanyiwa. He said a further restriction threatening the company's growth was in the form of the imposition of Statutory Instrument (SI) 163 of 2017, which increased the duty on cotton and poly-cotton fabrics from 10 percent to about 90 percent. "The company is currently working at 25 percent capacity utilisation, employing about 400 workers but at full capacity we can employ about 2 000. Also in terms of garment production we are producing about 1 000 to 2 000 a day but once we have retooled we will be looking at 5 000 garments a day," said Mr Tanyanyiwa. Speaking after the factory tour Deputy Minister Modi praised the company's resilience in the wake of the economic challenges over the years. "I am glad to say that despite all the challenges, the company is still doing well. It's very good and encouraging, it's a testimony to people on how they are surviving within the same environment like anyone else and managing to do business and even prospering while others are complaining," said the Minister.